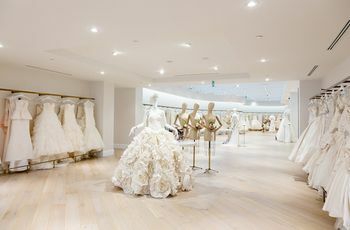 Everything You Need to Know About Wedding Dress Shopping | Wedding Ideas ARE YOU A VENDOR? Ready to starting trying on dresses? Acquaint yourself with these rules before you set foot in any bridal boutique. Ready to embark on the journey to find your wedding gown? You’re probably pumped - and for good reason! Picking out your dress is one of the most exciting parts of the planning process. You get to try on a bevy of stunning dresses and who doesn’t love that? 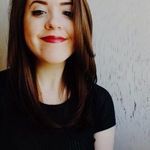 I know, at this point you’re raring to go, but before you start hitting the stores there are a few things you should know. Here’s everything you need to know about wedding dress shopping. It’s never too early to start hunting for your fairytale frock. 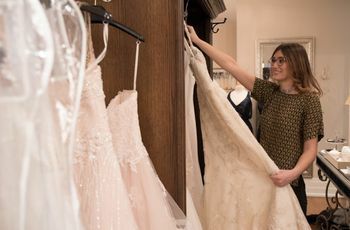 You should start checking out stores at least seven months in advance of your wedding date so that you’re not stuck trying to squeeze in into your schedule during crunch time. 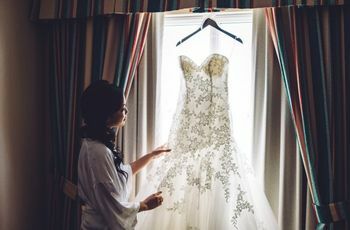 It’ll give you just enough time to see what’s out there and get any alterations done on your chosen gown. Need a few more reasons? Read this. If you work a Monday to Friday gig, you’ll have a lot more time on your hands on Saturday and Sunday, so you can hit several spots in one day instead of just a single store. Plus, designer trunk shows and discounts often happen on weekends, making them the optimal time to do your dress shopping. Yes, shopping with your BFFs is a blast, but there is such a thing as too many cooks in the kitchen (you don’t need that many opinions). Stick to about five of your nearest and dearest and don’t forget to invite your mom and soon-to-be mother-in-law. Planning on trying on a strapless dress? You probably want to skip wearing a strappy bra to your appointment. Bring along a few different undergarment options so that you can try each dress on with the appropriate bra/underwear situation. Having the right stuff underneath will make everything overtop look ten times better, trust me. Never dress shop on an empty stomach! A try-on sesh can end up being hours long and it can take a lot out of you both mentally and emotionally. So, eat a hearty meal (preferably one that won’t make you super bloated) and then hit the bridal boutiques. Your consultant knows much more about bridalwear than you, so listen to their suggestions. No, you don’t have to take all the advice they send your way, but they may have some seriously helpful nuggets of wisdom to share when it comes to silhouettes, style and maintenance. Now’s not the time to play it coy. If you don’t let your consultant know your likes and dislikes, they’ll have a tough time leading you toward your dream dress. This isn’t their first rodeo, so they’ve probably heard just about every comment and criticism under the sun (meaning they won’t get offended if you don’t like a particular neckline or type of beadwork). You’re probably not used to prancing around in layers of tulle and taffeta, but it’s time to get acquainted with how it feels. Try walking, dancing and jumping around in your gown - yes, I know it sounds silly, but you’ve gotta do what you’ve gotta do. 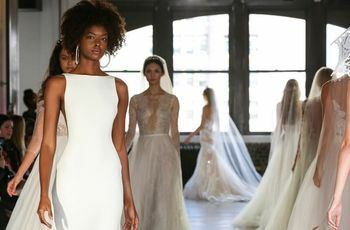 On your wedding day you’ll be strutting down the aisle and shimmying and shaking on the dance floor and you want to be comfortable doing it in your dress. Many salons have strict “no photos” policies, but if you are allowed to snap a few pictures, do it. This will allow you to look back on your top contenders when you’re trying to choose “the one” and give you an idea of how you’ll look in your wedding photos.